With multiple panel and roof option designs, premium quality materials and superior craftsmanship, veterinarians and breeders alike choose FCP dog & livestock panels for their professional facilities. Like all FCP products, the Mini-Ville line is manufactured from 100% American made steel. Lightweight or import imitation steel may look the same when new, but does not meet FCP’s quality standards. Built to last with 6 gauge galvanized welded wire these heavy duty panels stand up to the largest of dog breeds, sheep, goats, pigs and more. 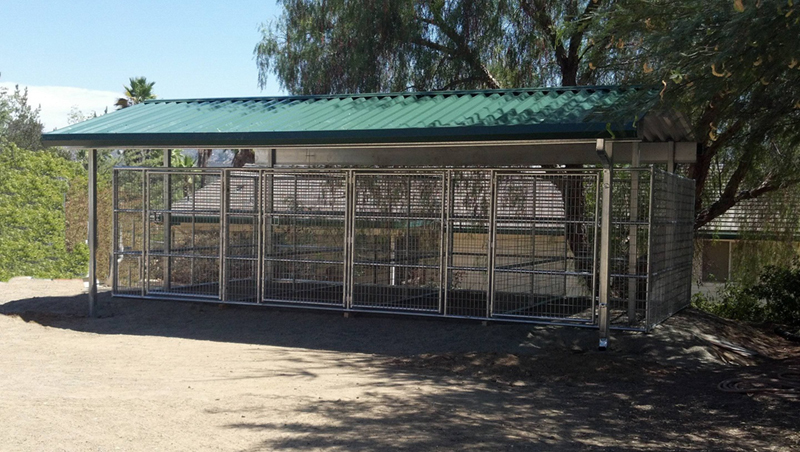 Available as a fully covered shelter or individual panels, FCP dog kennel and livestock pen systems readily adapt to your needs. Lightweight cloth covers can mold and rot from the natural elements, requiring constant replacement. 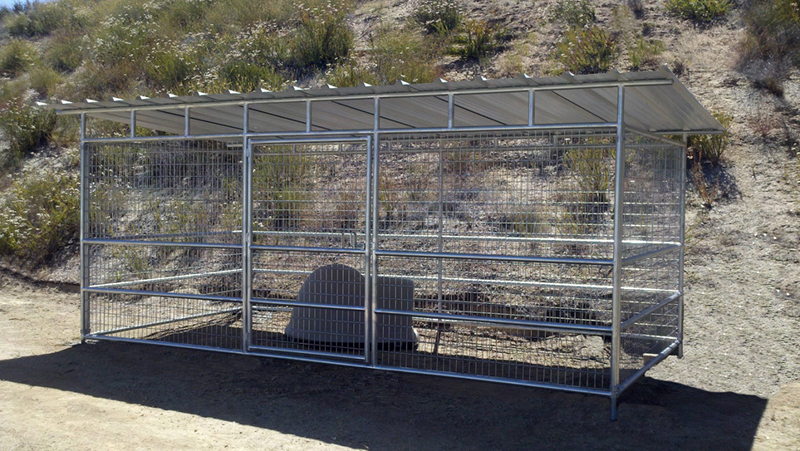 FCP steel shade structures shield your animals from the sun’s harmful UV rays. With optional side walls you can create a shelter that will ensure even greater protection against wind, rain and snow. FCP dog and livestock panels are the perfect solution to comfortably contain your family pet keeping them safe and secure from outside dangers.